PS: The PDF below has both 1st and 2nd chapter, so those of you who haven't read the first chapter can read that too. PPS: I'll try to rectify my bad attempts at being funny. 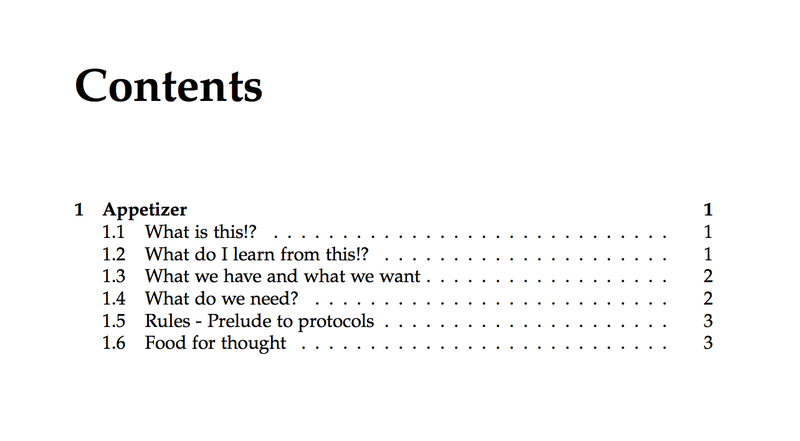 Here's the first chapter of the network security book I'm writing. You may follow the link and read the pdf on google drive, or scroll down a bit and read the embedded pdf. I'm embedding the book below, for direct viewing. First draft of the book, unpolished and raw, for those interested in seeing how bad I am at cracking jokes. Also, for those of you who are curious, I'm using Latex for writing the book, and the experience has been pretty good so far. Add exercises. Improve my sense of humour. Leave behind your comments, let me know whether you liked the style of writing, and would you like to read more of this. Any feedback/suggestions are welcome too.